It is a time of great change in the British Columbia wine industry. Talk of retail prices, channel implications, markup structure, international blended wines and grocery stores dominates our conversations. And yet, decades from now, these debates will not be remembered. They will be only dim memories in the minds of a few industry insiders who conjure them up while reminiscing in some futuristic bar. But today will be remembered even so. Because today is the day that we set in motion something new that will tell a story of our BC wine industry in meaningful and positive ways. It is something as elemental as the brown given to vineyard stones by a passing universe. In casual simplicity, I toast to you, the Golden Mile Bench, British Columbia’s first sub appellation. 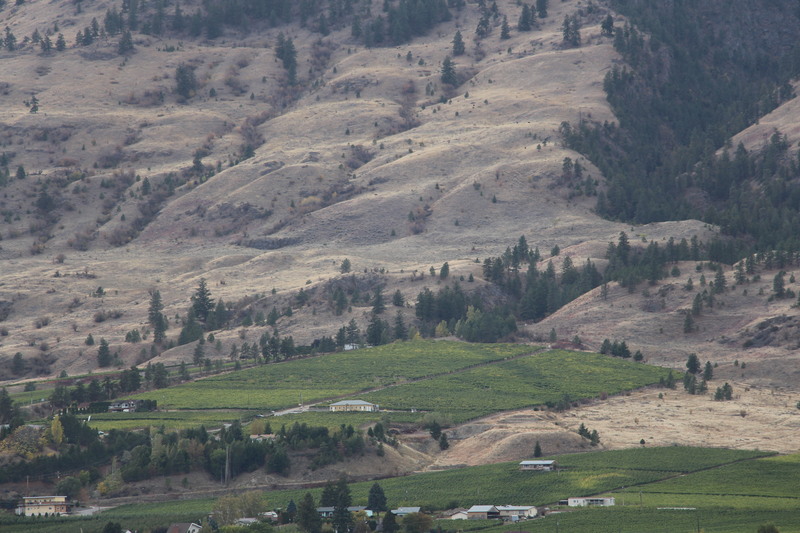 This entry was posted in Grapes and Wine, Local, TInhorn Creek and tagged British Columbia, dickinson, golden mile bench, Grapes, Oliver, stone, sub appellation, wine. Bookmark the permalink.